The trade war between the United States and China has been placed "on hold" as both countries have made progress in negotiations, Trump administration said Sunday. Appearing on Fox News Sunday, Treasury Secretary Steven Mnuchin said trade tensions have been put aside as Chinese and American negotiators work to establish a framework that will allow both countries to address future trade imbalances. "We're putting the trade war on hold," Mnuchin said. "We have agreed to put the tariffs on hold while we try to execute the framework. The president has been very clear since the first meeting with President Xi in Mar-a-Lago, that we are going to reduce the trade deficit." 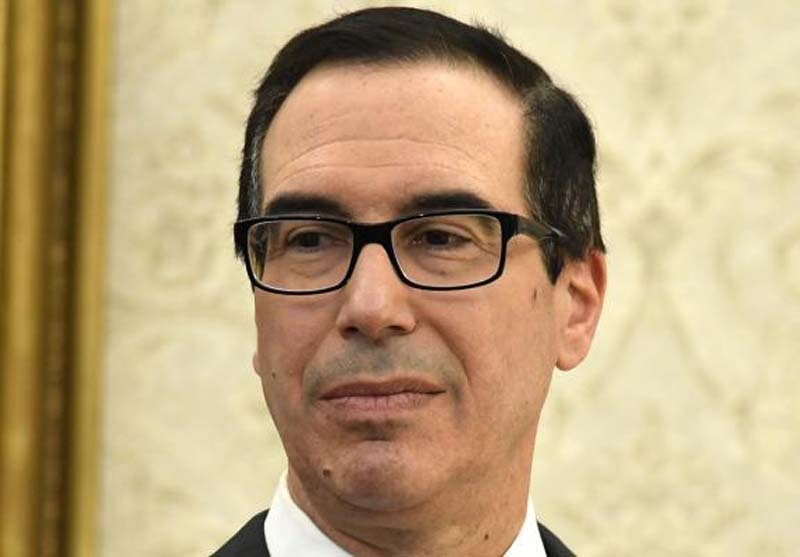 Mnuchin added the framework includes a deal announced Saturday in which China agreed to "substantially" increase purchases of U.S. goods and services to reduce the trade deficit. "We also discussed very important structural issues that they are going to make in their economy to make sure that we have a fair ability to compete there, and also protections about technology, which have been very important to the president," Mnuchin said. National Economic Council Director Larry Kudlow also said the United States and China have made progress in trade negotiations, while appearing on CBS News' Face the Nation on Sunday. "We want China to open up markets, lower tariffs, lower non-tariff barriers, give us a chance. We also want China, however, to change their behavior with respect to technology transfers and also the theft of intellectual property rights. Now, are we going to get everything? I don't know, but I will say this: We're making terrific progress and I think the meetings here in Washington were very positive," Kudlow said. Kudlow said he couldn't confirm if the latest advancements would prevent a proposed $150 billion in tariffs. He added U.S. farmers may still face the effects of tariffs on agricultural products in future trade disputes. "Tariffs are part of any negotiation and tariffs may have to be part of any enforcement. You cannot do this kinds of major change without using everything that's in your quiver, and I think the president has made that very clear," he said.